While the research world is increasingly global, the work of everyday life is still marked strongly by national cultures. I tend to recommend Kate Fox’s book, Watching the English, to international professionals trying to cross the cultural divide when working with folk in England. To a degree, much of her findings also hold true for Scotland, Wales and Ireland. 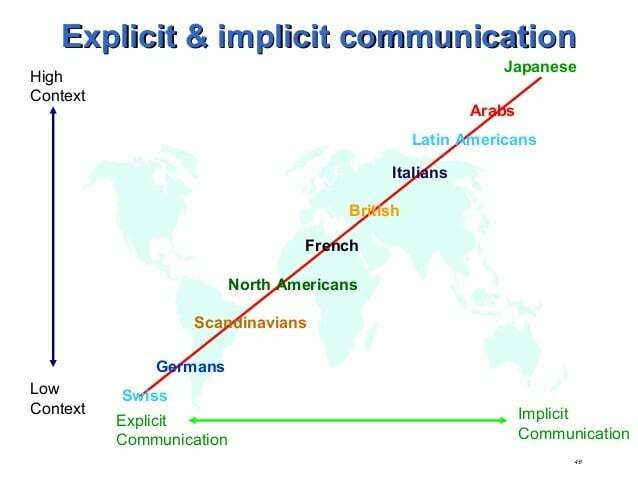 Many professionals are aware of the major cross-cultural shift between the “low context” cultures (where the literal content of what you say is often what you mean) and “high context” cultures (where meaning is often signaled and implied). The British and French hover mid-way on this line, but even so communicating with us can be frustrating even for North Americans. Kate Fox is an Oxford-based anthropologist who is already known for her studies of English behavior at the race course and in the pub. Her book is popularly written, well structured and thoroughly researched. Fox goes deeper than the usual observations about Britain being, like Japan and France, a rather higher-context culture. She picks up three sets of attributes that might especially hamper those from low context cultures, like the US and Germany, who try to build rapport with analysts in the UK. Reflexes in British culture include humor, moderation and hypocrisy. The first two are easier to work around. Humor is always on, even in rather formal business settings, and most interactions will be peppered with tepid humorous gambits: it’s quite unlike most other cultures. Moderation is also an obstacle: paradigm changes are seen as risky rather than bold; what is new is often untested. Hypocrisy is a key element of our ‘negative politeness’, in which not making the other person uncomfortable is often more important than being honest. The general outlook is empirical and, therefore, seeks facts, proof and experience. Eeyore, Winnie the Pooh’s downcast friend, is a role model when it comes to the pessimistic and doom-laden scepticism of many English folks: perfectly confident projections of the future tend to be discounted. Class consciousness pervades organisations. Especially in London, many cosmopolitan organisations might be staffed largely, or even principally, by foreigners. Even in those businesses, an invisible pecking order will exist to the classify the English (and a few French, whose meritocracy provides metadata for mapping onto British class structures). The English value fair play, courtesy and modesty. Aggressive, winner-take-all, attitudes are often seen as blinkered, comic and dangerous. Different ideas of courtesy are a major complication for some foreign visitors, especially in their assumption of hierarchies in organisations: I often see men ignoring women and younger researchers and addressing their comments to only the person they feel is most senior. Modesty is also likely to give rise to misunderstandings: because no-one likes a show off, the tendency here is to underplay one’s hand with irony. One might say that one ‘knows a little about semiconductors’, which could easily mean that the person is a leading authority on the subject. In the US, business people often open conversations by dropping names and terms to locate each other on a pecking order. English professionals will often not prove their status in this way, and do not feel obliged to show what they know. As a result, US professional might leave a meeting with a highly able British peer still unaware of their knowledge and perceptions. A link to her book is here.